Getting into a prestigious college requires not only good grades, but a great score on the SAT Test. Whether your student child or you are stuck in increasing their score or want to learn secrets of the SAT, our rigorous school year program or summer bootcamp can ensure the success of that important number. Our experienced SAT teachers will work closely with you, so that become better more confident on tackling every section of the SAT. We also offer private tutoring with our SAT teachers and tutors. Practice tests are given every Friday of the school year, alternating each week between Math one week and English. Visit our Saturday Calendar for more details. Our ACT Program covers the English, Reading, Writing, Math, Science sections and and demonstrates specific test- taking strategies unique to the ACT. Course offered through private tutoring. Earn college credit and strengthen your college application with outstanding Advanced Placement Exam scores. AP Biology | AP Chemistry | AP Physics | AP Computer Science | AP US History | AP World History | AP European History | AP Gov | AP Economics | AP Psychology | AP English Language | AP English Literature | AP Calculus (AB & BC) | AP Statistics | and more! Courses offered through private tutoring. 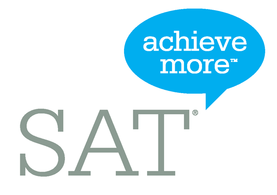 Reach college success by training and adapting test- taking skills and ultimately, readily to ace the SAT Subject Tests.